Below is the flier that the City of St Petersburg released and mailed out to all residents with city water service in September 2011. 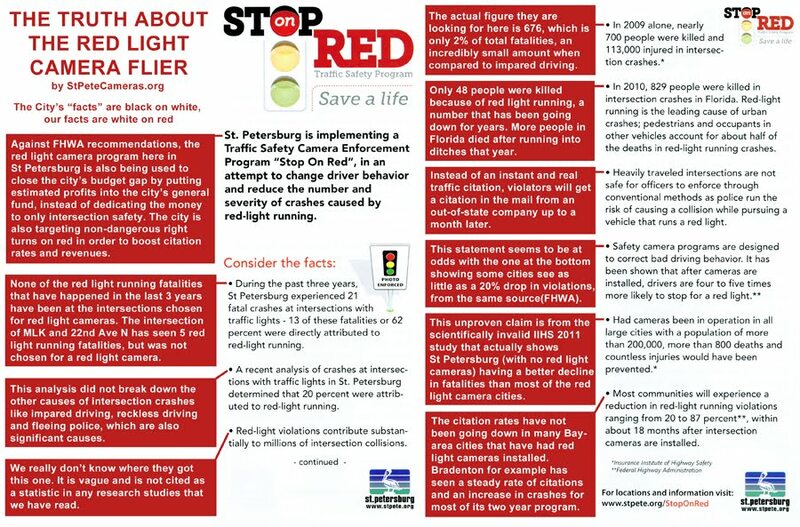 This flier was produced with the help of the private Arizona-based red light camera company American Traffic Solutions, that the city hired to outsource red light violation law enforcement to in the city. Because of all of the half-truths and false information that is in this flier, we decided that we needed to present another point of view with some facts that they chose to leave out. Available for download in hi-resolution file formats at the bottom of the page.